Best Friends of Neenah-Menasha, an organization dedicated to helping young people thrive through the power of mentoring, needed help to promote and increase awareness of its Gourmet Bike Tour, an annual event and significant fundraiser for the organization. Support included logo redesign and marketing materials that included a brochure, Save the Date postcard, and a bank stuffer. The logo design was also incorporated into a half-page ad and a pizza box flyer. Additionally, agency staff provided day-of event support. The Neenah Animal Shelter is a 501 (c)(3) non-profit organization that exists to humanely care for lost, surrendered, neglected, impounded and abandoned adoptable pets until suitable homes are found for them. 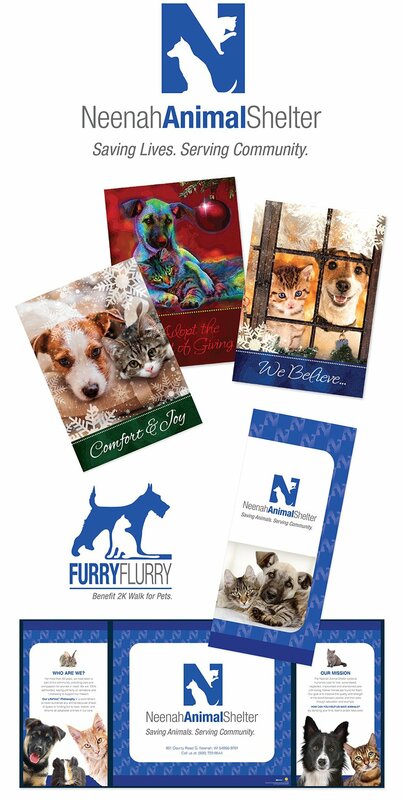 The shelter needed a brand refresh, marketing, and PR support to help them raise awareness, traffic to the shelter, and increase adoptions. Support included a new logo and tagline, new collateral materials, website redesign, fundraising appeals, press releases, and event support. 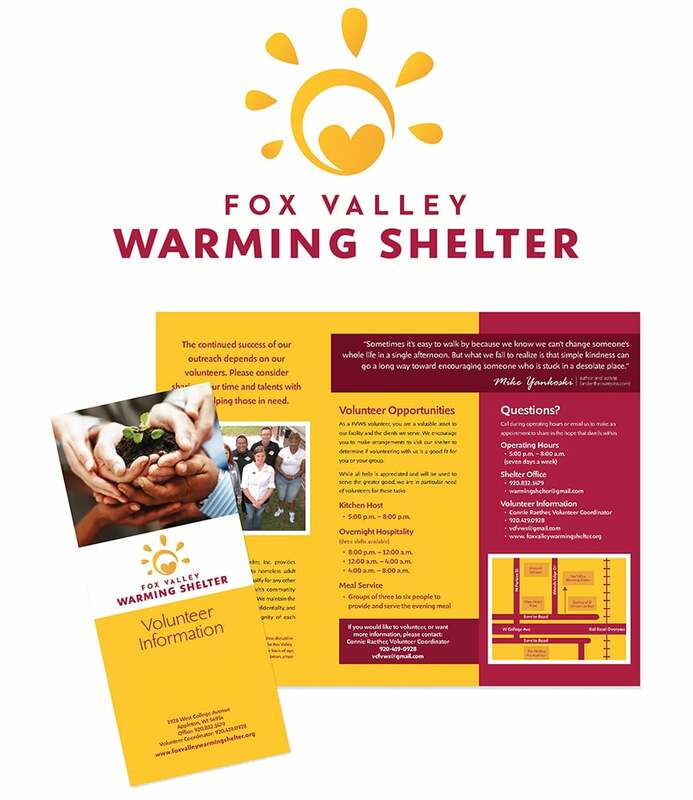 The Fox Valley Warming Shelter provides overnight, temporary shelter to adult men and women who are homeless and collaborates with community resources to pave a path toward self-sufficiency. The shelter needed a brand refresh, marketing communications, and PR support to clarify and increase awareness of their programs and services and recruit more volunteers. Support included a logo and website redesign; event theme and collateral material design and development; and volunteer services. 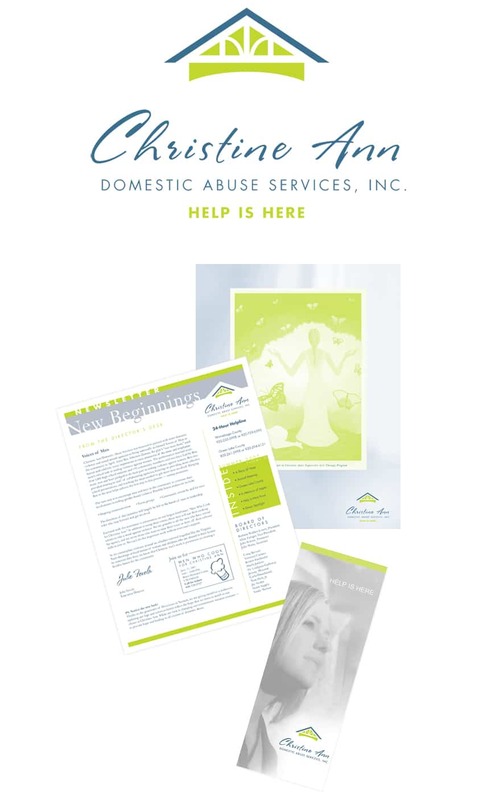 Christine Ann Domestic Abuse Services serves individuals and families who are struggling with the devastating effects of domestic abuse. 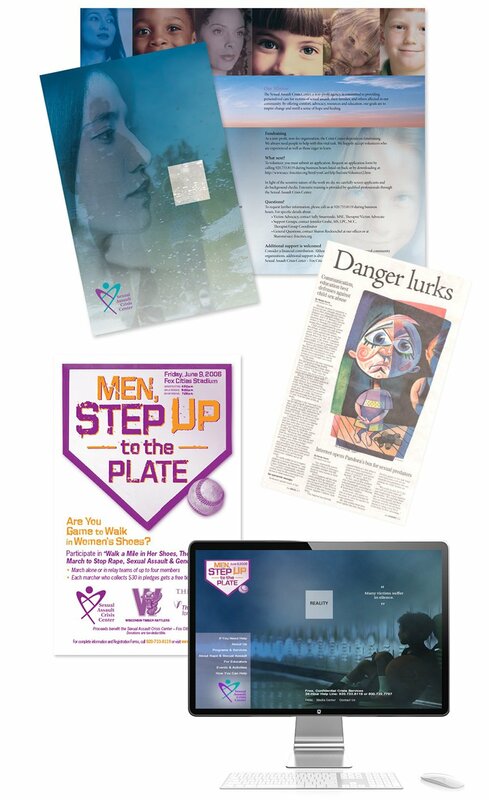 The agency needed to establish consistent branding throughout all marketing materials and activities to strengthen awareness of its geographic reach, programs and services; strengthen donor relationships; educate the public about the increasing need; and stimulate fundraising in advance of a capital campaign. Support included a logo redesign, collateral material design, and PR. The Fox Valley Humane Association is focused on saving animal lives and offers a variety of services, programs and events to the community in addition to a safe haven for companion animals. 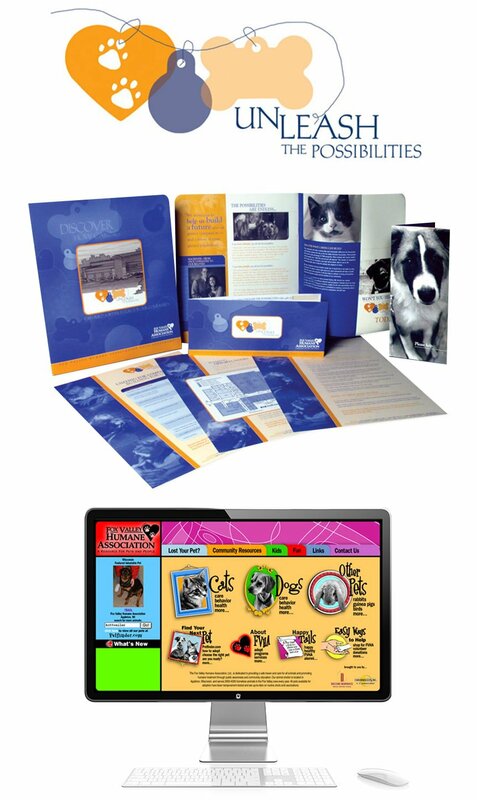 The organization needed marketing, PR and design support to better position the shelter as a “true pet resource” and increase general awareness in advance of a capital campaign. Support included a website redesign and content creation; capital campaign theme development; collateral material design; and volunteer services. The mission of the Fox Valley Symphony Orchestra (FVS) is to enrich and nurture the human spirit through symphonic music and educational opportunities that enhance the cultural development of the community. The organization needed a brand refresh to increase awareness of and interest in FVS within the community. Support included a logo redesign, ads, website content, programs, brochures, and other promotional materials. The Sexual Assault Crisis Center-Fox Cities transforms lives by providing crisis intervention, advocacy and counseling for individuals and families affected by sexual trauma and exploitation. They needed help to clarify and increase awareness of their programs and services. Support included creating a new tagline, website redesign, and developing two awareness campaigns that consisted of PR and media relations, promotional materials, and volunteer services.